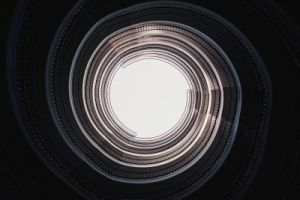 A recently published report titled ‘Building circularity into our economies through sustainable procurement’, (UNEP) explores how to integrate circular economy in public procurement. The report highlights the power of institutional purchasing and advocates for circular procurement as a tool that advances the sustainability goals. Pillar 1 - Promoting circular supply chains by procuring more circular products, materials and services - such as using circular procurement criteria in tender specifications. These strategies need to be enabled by cooperating with other organizations or new legal instruments that favour circularity in value-chains. For purchasing units wishing to get started, the report provides lessons such as ‘start with easy wins’ or ‘engage suppliers at an early stage’. Additional powerful drivers to advance the inclusion of circularity in procurement practices are setting ambitious targets - as cities around the world did as part of the Global Leads City Network on Sustainable Public Procurement (GLCN), as well as knowledge sharing and actively contributing to international initiatives such as Procura+. The report draws from previous work by, among others, the EU and ICLEI, showing that circular public procurement is already applied by forward thinking public bodies. There are many good practice cases to learn from, which you can explore in our Resource Centre.